New to using fountain pens or just wan't to know more about the pen that you currently use ? 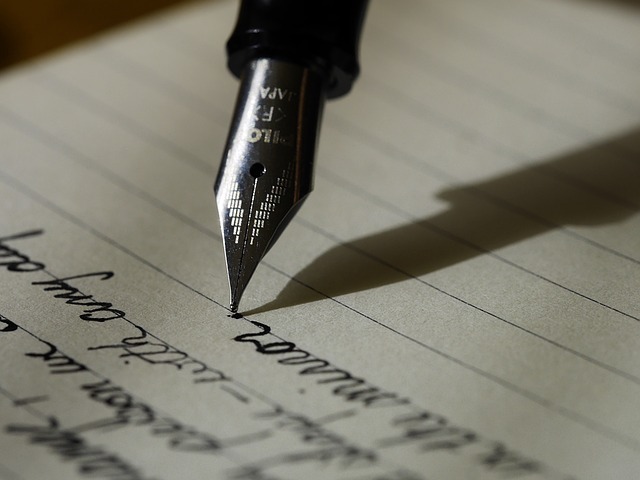 This guide will answer your questions by providing information about the history , construction, use , and care of fountain pens to ensure you understand the writing implement you are using and know how to get the best out of it. Writing implements that resemble fountain pens have been traced back to ancient egypt in the form of hollow reed pens which stored ink and had the end shaped to form a nib. Having said this the modern fountain pen is a much more recent invention which really only came into being in the 18th century. Rudimentary modern fountain pens started to be manufactured in the early 18th century but they suffered from numerous issues which prevented widespread uptake for many years to come. These issues included constant clogging of nibs due to the corrosive properties of available inks , and an inability to control ink flow to prevent blotching and leaking. Numerous advances in ink and nib technology were made during the 18th Century but the birth of the modern capillary fed fountain pen can be attributed to Lewis Waterman, an insurance broker who lost a customer due to the malfunction of an early fountain pen which caused it to spill ink all over contract documents. Lewis turned his hand to resolving the ink flow issues which caused his loss of business and the result was a 1884 patent on the "fissure feed" pen technology which contributed significantly to the widespread use of the fountain pen and is in essence the basis for operation of fountain pens to this day. Interestingly the tried and tested writing technology by salesment of the day for signing such contracts was a collapsible dip pen and a stoppered portable ink well which they carried with them but fountain pens were a convenient technology advance and even in the late 18th century were seen as a sign of style and prestige, an image which still persists today. Shortly after the invention of the "fissure feed" fountain pen another competing pen technology emerged in the form of the "ball point" pen which was patented by John Loud in 1888 but ball point pens like the fountain pen suffered technical issues, primarily related to the permanancy of ink, which didn't get resolved for nearly half a century during which time fountain pen filling and flow control technology moved forward in leaps and bounds causing it to remain the preferred writing implement. Roll forward 70 years and it is clear that electronic communications are eliminating much of the need to write by hand and that the ballpoint pen has displaced the fountain pen as the preferred writing implement of the masses when the need to write does arise ... but the fountain pen is far from dead. In fact quite the contrary , the fountain pen and some would argue hand writing in general are for reasons largely unxplained experiencing somewhat of a resurgance. Whether it be people railing against the machine , wanting to re-learn the art of writing , enjoying using a fine writing implement , or possibly all of the above , people are buying fountain pens now than they have for many years. And why not ... the best fountain pens are a thing of aesthetic and engineering beauty which in the write hands ( pun intended ) produce script that is an artform.